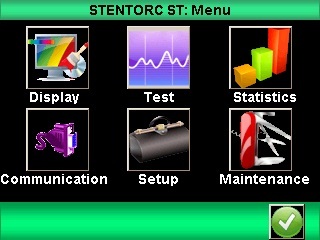 The Centor Star Touch universal display is ideal if you want to have one display with many force and torque sensors. Using the SPIP technology, the Centor Star Touch automatically recognizes the sensor plugged and integrates sensor parameters: force or torque, calibration, serial number. The sensors are calibrated and programmed separately from the display. Designed for industrial environments, it provides high performance but also ease of use thanks to its large color touch screen. The icons guide the user through the configuration of the gauge and the menus are available in several languages. For better integration into the manufacturing process and communication with other devices, the Centor Star Touch is equipped with fast TTL outputs and inputs for communication with an automat for example. All the features, flexibility and ergonomics of the Centor Star Touch make it the ideal solution for easy and advanced force and torque testing in the industry or laboratory. 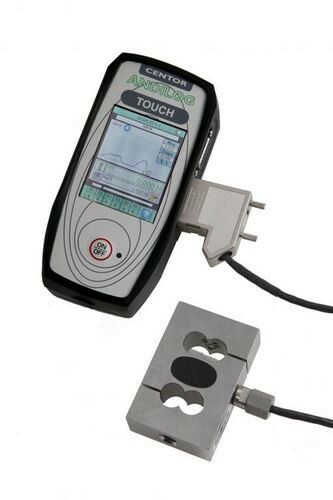 If you need to read two sensors in the same time, for example two force sensors or force and torque or torque and angle..., the Centor Dual Touch is the gauge for you. 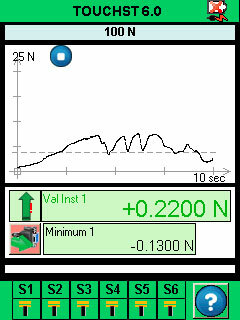 Using the same features as the Star version, the Dual version reads two sensors and can send synchronized values to a computer. It can work with force, torque, angle and linear displacement sensors.